Until the end of the twentieth century, historians who studied the West believed that it was the Plains Indians, primarily the Comanche, who scourged the Texas frontier; a view enhanced in the legend, “Comanche Moon.” ( Texas legend indicating that during a full moon the Comanche haunted the country side spreading evil). For decades, frontier politicians claimed that only Texas Rangers, supported by the United States Army, could save Texas setters from the continuous assault by Native American raiders. Eventually, the argument became so accepted that the Texas officials believed that they had no other choice but to rid the frontier of all Indians. Before the Civil War began, the authorities drove all native peoples, friend and foe alike, north into Indian Territory, present day Oklahoma. In the twentieth century, documents such as the Dear Chum Letter discussed in this article surfaced and revealed that Native American tribal groups played a small role, although a sensational one, in frontier violence. It appears that there were many groups of raiders, and perhaps the most significant being a group of murderous bandits, some politically prominent, who rode the Texas frontier between 1855-1870. In March 1860, the following letter was discovered by the US Army and eventually published in local North Texas frontier newspapers. The contents of the letter created a sensation in Texas. Assuming it is authentic, it reveals a powerful and well-organized gang of cutthroats and thieves with high-ranking political leadership operating openly on the frontier. They accused Native Americans of frontier violence in order to cover their crimes and to stir up a race war for profit and political gain. The leader of the gang, “WB” was a member of a famous founding Texas family. He was a legislator in the Texas state congress and was once a federal government Indian agent. His name was John Robert Baylor, a nephew to the founder of Baylor University, and a grandnephew of General George Baylor, the head of George Washington’s personal guard during the American Revolution. The Dear Chum Letter was discovered In January, 1860 when a detachment of U.S. 2nd Cavalry led by Captain W. W. Lowe, spotted horsemen driving a herd of horses a few miles north of Camp Cooper. Assuming the intruders were horse thieves because they were in a prohibited area, the captain immediately pursued across the prairie firing on the horsemen. One of the soldiers managed to shoot a rider who fell from his horse. The other men scattered and disappeared into cuts and ravines in several different directions. Captain Lowe halted the pursuit and regrouped the men near the fallen outlaw. Examining the white man, who was found dead at the scene, Lowe went through his pockets and discovered a letter addressed to "Dear Chum." The dead man was John Page, described in the 1860 Young County Census as an unmarried herdsman, a cowboy. In the letter found on Mr. Page, the author described a conspiracy by a gang called the “Old Law Mob(OLM)” to loot passing immigrants, and outlying settlers, of their livestock and valuables; they would then blame the Indians for the crimes. Apparently, loot was only a small part of the scheme, political power and economic gain from an Indian war was the main goal of the mob. The acting commander of the 2nd US Cavalry, Major George Thomas, examined the letter then sent it on to the local Texas Ranger Company. With a few notable exceptions, killings were rare enough along the edge of Texas settlements before 1860. Most frontier lawlessness involved the simple theft of livestock, which often roamed freely across the unfenced prairie. New arrivals were particularly vulnerable to thieves, however. Most farmers and cattle raisers who immigrated to the Texas frontier were truly "greenhorns" with relatively large sums of money set-aside to purchase cattle and horses. Many of these settlers bewildered and stunned by their vast surroundings, had little understanding of the dangers inherent to the frontier when they established their homestead. Just the fact that they brought fine livestock to the area caused them to be targets. And, the thieves were no ordinary outlaws. 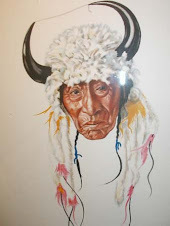 White murderers and outlaws fleeing from more civilized and populated parts of the United States often sought refuge with Plains tribes, the Waco, Tonkawa and others beyond the pale of the fierce Comanche. Staying long enough with the Indians to emulate their clothing and raiding patterns, these white renegades soon made their way back to the Texas settlement line. Joining with others of the same ilk, they took over abandoned shacks, dressed as warriors and gleefully committed despicable atrocities on isolated families. Part of their boldness came from a feeling of being beyond the reach of the law. In every assault, the men murdered all adults and older children and spread abundant signs indicating that Indians on the war path committed the atrocities. In April 1858, the mass murder of the Mason and Cambren families in Jack County was a typical case. In this horrific attack, four white men captured the two families at gunpoint, stole their cache of money, reported to be a thousand dollars, and then murdered and scalped all the adults and children over 10 years old. Like other documented cases during these years, these white men dressed as warriors, dying their hair, painting their faces and bodies, and carrying bows and arrows, spears and other Native American weapons. To antagonize the situation further, and to inflame racial passions on the other side, white bandits hunted and killed Native Americans, who had left the reservations to hunt game. Newspaper editors fanned the fire of racial hatred by constantly attacking the Reservation system and demanding punishment for Native Americans for every crime committed along the frontier. And for the political opportunists, any man who proved he could protect the frontier from such outrages, real or imagined, would inherit immense political clout. Perceived Indian threats increased a need for the army to build forts and form Ranger companies, both of which needed costly provisions of food and equipment, which the agitators intended to supply. John Robert Baylor and H.A. Hamner, co-editors of the Weatherford The White Man, a race-hating newspaper, led the anti-Indian North Texas frontier "filibusters" of early 1859. Despite their efforts, however, many settlers privately and even publicly defended the Native people. However, in 1859 the agitators murdered Indian agent, Robert S. Neighbors, a foe of John Robert Baylor. Neighbor’s murder placed solidly in settlers mind the fear of Native Americans consequently the spreading of rumors of an Indian uprising. The fear and distrust proved too powerful. The murder of Robert S. Neighbors was politically motivated. He was a hero of the Texas Republic and a staunch defender of the two Indian Reservations in North Texas. Because of this in 1852 the president appointed him United States Indian Special Agent. The government built his headquarters near the Lower Reservation at Fort Belknap in Young County. Politics were rife in the Indian agency and in 1856 Neighbors fired sub-agent John R. Baylor. Neighbors charged Baylor, a proven Indian-hater, with malfeasance and corruption. Enraged at losing his position, Baylor swore vengeance against the Indian Special Agent and turned for help from another incendiary H. A. Hamner, who ran The White Man. For three years, the two worked tirelessly to incite the local settlers against all Indians, attacking even the tribes who had proven records of assistance to the white community. While they were trying to inflame the frontier, both men quietly dabbled in land speculation and especially coveted reservation land. Historian Carl Coke Rister noted that a surprisingly large number of important people at the time were fully aware of the Baylor-Hamner conspiracy from the “Dear Chum” letter, from eye witness accounts of the murders, and from men who returned from Indian captivity. One such former captive, Thomas C. Battey , who the Kiowa captured as a youth, lived among the Kiowa during the 1850s. When he escaped, he made his way to Fort Belknap. Meeting with the local sheriff he told of seeing white men living with the Kiowa who disguise themselves as warriors and who made raids into Texas. On two occasions, he inspected the bodies of dead men dressed like Indians who had been killed by the Kiowa. Each “warrior” was a white man "disguised with false hair, masks, and Indian equipage, as to readily be mistaken for Indians." The following is the Dear Chum Letter taken from the dead body of horse thief, John Page, which shed light on the conspiracy to impact the Comanche in Frontier violence. Yours of the 25th ult. has been duly received and we are happy to know that your party succeeded so well in getting the last drove of horses from [Fort] Belknap [Young County] and that you so completely fixed the affair on the Indians but I am now becoming apprehensive as the animals or the proceeds have not come to hand or heard from in this quarter that their is traitors in camp be careful. I am sorry to hear that Gabby M, and Wooten had a difficulty or rather a falling out and I think if you can quietly get rid of them both it would be all the better as one talks to much and the other is liable to get drunk and make disclosures that would implicate themselves and us. Neither have I much confidence in Williams he acted badly you know in Kansas also Gancey and some five others you spoke of in your last, I think our friend near Camp Cooper is asking too much compensation for the burning down of his stable particularly as he has not succeeded in making that haul on Camp Cooper, let me know if they have moved to the Stone Ranch above the latter place yet. I am a little afraid to take in friend W --- s brother-in-law as they were kind of Indian men heretofore be careful on informing me on this last as we are anxious to dispatch the next party by that way--also inform me if the Captain has as yet got back from Austin and what he has done towards raising the Regt of Rangers which is of all importance to us, should he succeed in getting them up you will of course instruct him where we are likely to pass that he may know in what quarters to scout with his rangers. I was not aware that you and Murphy was on bad terms when we concocted the arrangements in regard to his sister or I would not had any thing to do with it -- as I fear it will end badly should he come to find it out -- for it will not do to let him [unreadable] offer to take him among our party as I think he has too much mistaken pride -- and in that case will answer a better part to keep him in ignorance. Tell our friend of the Whiteman above all things to keep up the Indian excitement as it must be kept up until spring for there cannot be much done -- this bad weather also affects our friends at Belknap -- particularly as that it will be necessary to keep the matter up if we will even have to kill or shoot at some fellow -- their [sic] are a great many Emigrants passing through here on their way to Texas. It will be well to keep them scared out of the upper part of the state as much as possible but such as come up keep your eye on them as they have some excellent mules and horses -- try and encourage our friends to play down the country to get a better stock of animals as the last droves were very inferior. Everything is quiet here at present except some little grumbling about the last diversion -- as some you know got to much -- but this was policy -- as for the rest we can scare them into terms. Jhbd Jonathan Hamilton Baker Diary, NE Tarrant Co. CC. PPC Palo Pinto County Census, 1860. YCC Young County Census, 1860. DH-60 Dallas Herald (March 7, 1860). DH-61 Dallas Herald (July 24, 1861). 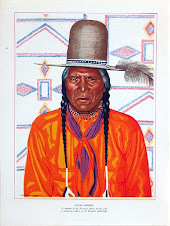 Ledbetter, Barbara A. Neal, Fort Belknap Frontier Saga, Newcastle (self published), 1982. 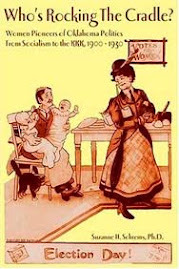 Sallie Reynolds Matthews, Interwoven, College Station: Texas A&M University Press, 1936. Frances Mayhugh Holden, Lambshead Before Interwoven, A Texas Range Chronicle, 1848–1878, College Station: Texas A&M University Press, 1997. W. J. Hughes, Rebellious Ranger, Norman: The University of Oklahoma Press, 1964. Kenneth Neighbours, Robert Simpson Neighbors and the Texas Frontier 1838-1859, Waco, Baylor University Press, 1975. 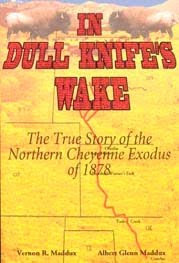 Rupert Norvell Richardson,, The Frontier of Northwest Texas 1846 to 1876, Glendale: Arthur H. Clark Company, 1963. H. Smythe, Historical Sketch of Parker County and Weatherford Texas, St Louis: Louis C. Lavat Co., 1877. Joseph Carroll McConnell, West Texas Frontier, 2 vols., Jacksboro: Gazett Print Shop, 1933-39. Leon Metz, John Selman, Gunfighter, Norman, The University of Oklahoma Press, 1966. Carl Coke Rister, Fort Griffin on the Texas Frontier, Norman: University of Oklahoma Press, 1956, reprinted paperback, 1986. On the 7th of this month my sister, Mrs. Margaret Cornett, was taken from her residence in this county about ten miles from this place by the Indians, and carried off to parts unknown. It is my humble request that you would issue an order requesting the commanding officers of the different posts throughout the North and Northwestern frontier to make inquiry and use due diligence to ascertain from the different tribes in the locality of their respective posts if possible, anything concerning the whereabouts of my sister Mrs. Cornett. I will give a reward of one thousand dollars for her recovery. 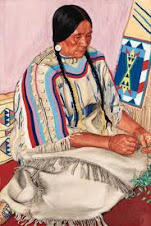 It is quite likely that she has been abducted by the wild Comanche and that they have not yet killed her, but are holding her as a prisoner. It is to be hoped that by treaty or otherwise she may yet be recovered. Your action and influence in the ....... will never be forgotten, not only by one whose sad misfortune it has been to lose a dear sister, but likewise (I think I may truly say) by the people of the entire State of Texas. Thomas Lambshead (1803 England) left Devon, England, and arrived in Texas before 1847. He filed for land in Peters Colony (later the Texas Land & Emigration Company) The 1850 census of Navarro County (now Johnson and Hood counties) listed him with his Wife, Eliza (1825 England), and a baby girl. That year he received a section of land from the Texas L. & E. commissioner. He attempted ranching with nine hired men on the Clear Fork in 1854 but Indians killed his stock and drove him to Fort Belknap for safety. In 1859 he patented 640 acres in Throckmorton County. He lived eight miles from Jesse Stem's farm on the Clear Fork Crossing. 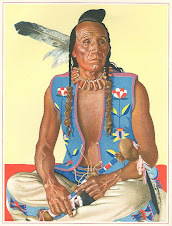 He tried to have John R. Baylor fired as Indian agent. Lambshead became a commissioner of Throckmorton County when it was formed, with William L. Browning and Robert King. He ran the west-bank stage depot for the Butterfield Overland Stage line when it began in 1858. The Reynolds-Matthews family still owns the Lambshead ranch, now 50,000 acres which includes, the old ford and the Stone Ranch. Holden, Lambshead before Interwoven 21-26. The Stone Ranch (built 1855-56), houses and cow pen, have been restored. A keystone in the house is dated 1856. The restored two-room ranch house, bunkhouse and stone cattle pen is three miles south of the Brazos River and about seven miles west of the sites of Camp Cooper and Fort Griffin. Watt Matthews, present (1992) director of the Lambshead ranch, restored the famous landmark from the Texas frontier days during the 1980s. Its original builder, Captain Newton Curd Givens (b. 1824 Ky -d. Mar 9, 1858 San Antonio) graduated from West Point in 1845 and won brevet first lieutenant for bravery at Buena Vista in the Mexican War. J.J. Cureton, Rip Ford, Albert Pike and Robert S. Neighbors were all at the battle and probably met Givens. In 1850 Givens joined the Second Dragoons in Texas. Givens commanded Fort Phantom Hill until April 6, 1854 when the post was abandoned and burned. He met Randolph Marcy in 1854 at Fort Belknap during the exploration of Texas. Robert E. Lee promoted Givens captain and gave him command of the 2nd Dragoons at Camp Cooper from 1854 to 1858. Givens' mother lived in San Antonio near John R. Baylor's mother, wife and family. Givens purchased the title to the Stone Ranch land, some 640 acres, on July 20, 1855 from Cooper Campbell. In 1855, the authorities arrested Givens and suspended him from duty. Most probably his arrest came after he wrongfully ordered soldiers to construct his ranch house and cattle pen. Reportedly he used army wagons to haul his building materials from San Antonio. Not until late 1857 did the authorities bring charges. In February 1858 Givens was ordered to San Antonio for court-martial. He seems not to have been confined to quarters because a month later, he was mortally wounded while hunting with Captain E. Kirby Smith (later a Confederate general). Givens died at a San Antonio hospital on March 9, 1858. Sources: Cullum, Biographical Register, 2, 233; Matthews, Interwoven, 28-30; Holden, Lambshead before Interwoven 36-41. The Captain may have been John Baylor, given the title out of respect. However, there are other candidates. John S. "Rip" Ford was a political insider and the most powerful captain in the Texas Rangers and a favorite of Sam Houston who was the governor at the time. Several Texas governors called on Ford to raise companies of rangers and fight Indians or Mexicans. Ford is on record, of flatly refusing to hunt down and arrest members of the O.L.M., even when given a direct order by Governor Runnels. Members of the gang attacked and murdered several members of a peaceful Indian hunting party in northern Palo Pinto County, on December 27, 1858. As the author of the “Dear Chum” letter states, Ford indeed went to Austin in early November 1859. On November 17, Ford headed south to fight Juan N. Cortina along the Mexican border near Brownsville (Hughes, Rebellious Ranger 162). A second Texas Ranger was James Buckner "Buck" Berry from Bosque County. Berry spent much of 1858 on the northern frontier and knew Baylor quite well. Berry often stayed with Baylor when he traveled through Buchanan County. Barry's Ranger camp was on Caddo Creek, Palo Pinto County, and the location of the author of the letter. The third possibility is Captain J.J. "Jack" Cureton, an old warhorse and frontier character. He served in an Arkansas Regiment during the Mexican War under Archibald Yell. In Texas, he captained the militia company from Palo Pinto. Cureton knew Ford from the Mexican War. Cureton, like Baylor, the Reynolds family, and Oliver Loving was a slave owner. Cureton undoubtedly belonged to the O.L.M. and later, the Tin Hats of Shackleford County. He was head of a vigilante gang in Bosque County a decade after the war. As the Bosque County Sheriff in 1879, he conveniently rode out of town leaving his sheriff's office open so masked vigilantes could break-in and lynch the last two of the murderous Horrell brothers.